…until NY Eve morning, that is. See, I got up to Jen’s with Bernina #3, also known as my traveling machine. Unfortunately I had taken the presser foot off it after my last visit to jen’s and didn’t bring my usual supply box. So, there I was all dressed up and ready to sew with no presser foot. Jen generously shared her machine on the 30th and we went to GSC’s Saratoga Springs outpost on the 31st to get a new presser foot. 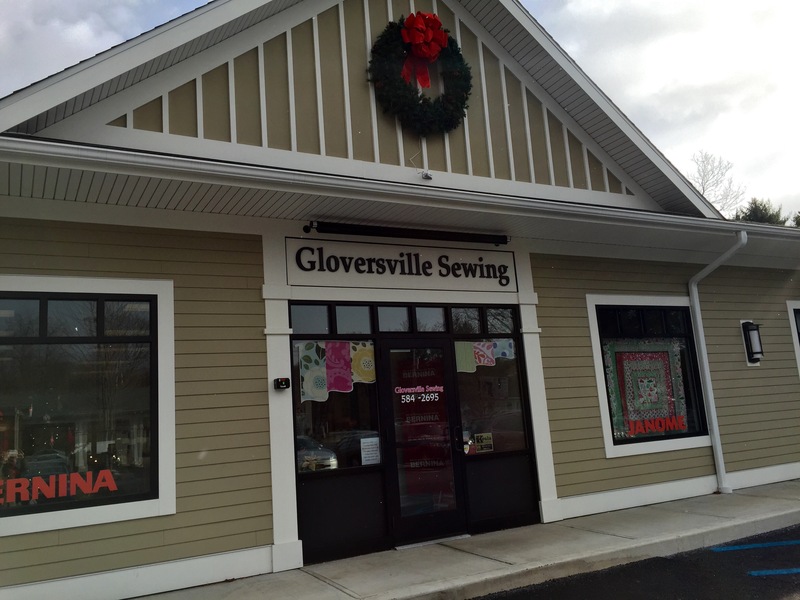 Clearly this location is a storefront for their awesome selection of Bernina and Janome machines, accessories and service. But beyond that they had a fair (yet limited) selection of notions, thread and fabrics. And an amazingly kind and helpful staff. I got what I needed and even a few extras. Now, after visiting the outpost, I am more eager to visit the main GSC shop. That is a new addition to my 2015 goals list! And, thanks for the save!